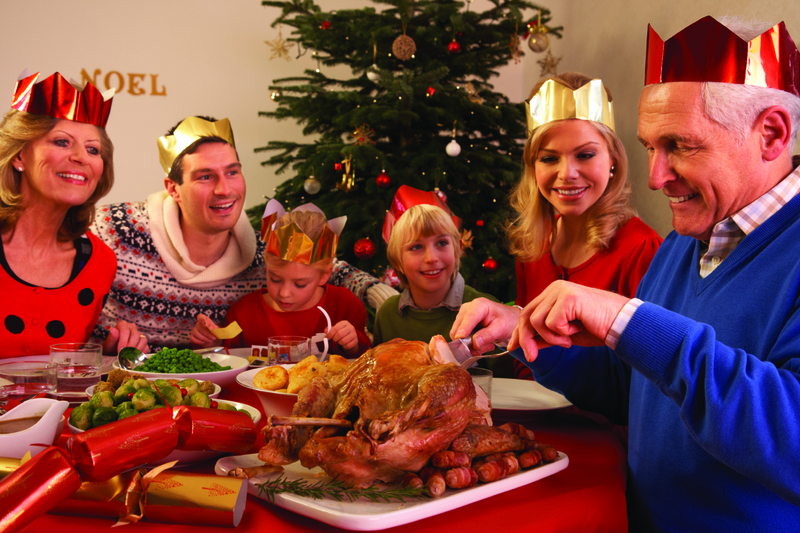 Dietitian, Kate Bullen, provides a Survival Guide for keeping your family’s nutrition on track this Christmas. Christmas is a time of holidays, celebration, relaxing and having fun. It is often also a time for over indulging, with many adults gaining a couple of kilograms from eating extra kilojoules. And it happens quickly – an extra rum ball here, an extra glass of champagne there and a couple of slices of camembert on water crackers and BAM! There is your extra couple of kilograms over a month. This season mangoes are predicted to be expensive. Don’t let this stop you from buying this delicious fruit or other expensive fruits such as cherries. Cherries might be $15 per kilogram or more – but compare this to a block of chocolate at around $20 per kilogram and suddenly it is all put in perspective. I like to consider quality when it comes to protein foods – as you often get what you pay for. Sausages may be liked by your children, but they are typically high in salt, fat and many other things when you look at the ingredient list. Instead choose seafood, lean meat or chicken without skin. Did you know that an average thick sausage contains around 1100kJ – the same as in 3 cups of prawns? Christmas is also a time of buying a lot of food and it is easy to over-buy. Keep a check on this – the shops only shut for one day so there really is no need to stockpile anything. Remember – fresh is best! Even better plan your Christmas shopping in advance and shop online and avoid the chaos and queues. Cherries might be $15 per kilogram or more – but compare this to a block of chocolate at around $20 per kilogram and suddenly it is all put in perspective. Summer fruit is the best! Berries, stone fruit, melons – there are so many delicious options. And don’t forget about frozen options. I always have frozen raspberries and mangoes in the freezer to whip up some smoothies. And I chop and freeze those slightly overripe bananas – great instant ice cream when blended. Add some cocoa to make it choc-banana. Frozen grapes are another favourite in our house. Great on hot afternoons. We live on salad in summer – so many greens to choose from. My children are not the biggest fans of lettuce or baby spinach, but I serve it up and ask them to at least try it. Increased exposure is key to expanding taste buds. No force feeding – it doesn’t work. The shops only shut for one day so there really is no need to stockpile anything - remember, fresh is best! We are all very visual in our eating – especially children. 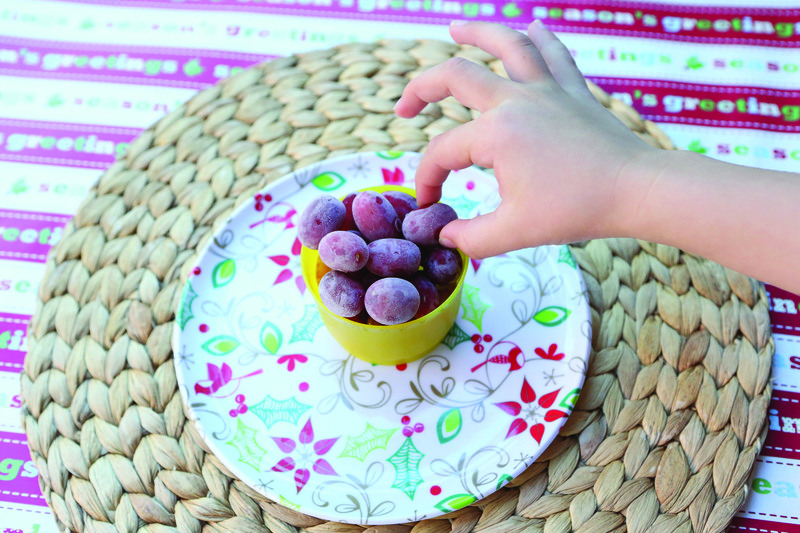 Add some fun by buying Christmas plates to enjoy summer meals on. Dinner with a Santa plate might just help get that extra serve of salad eaten by your children. 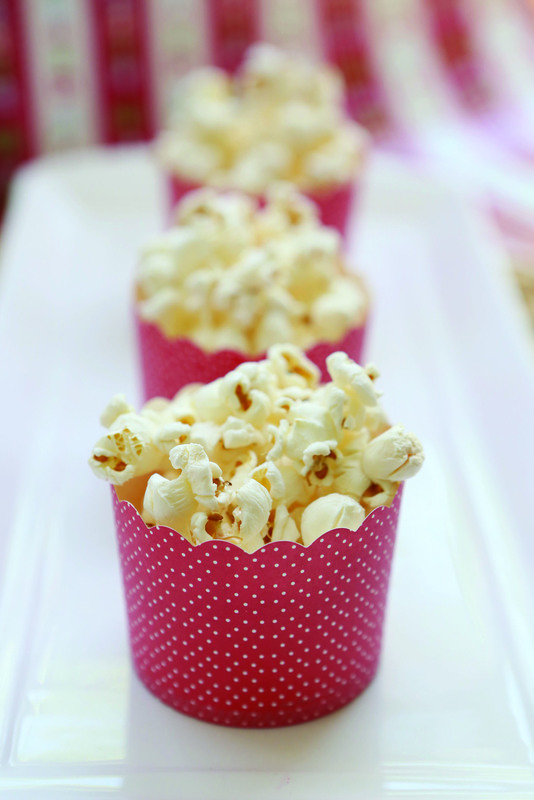 Fresh air popped corn served in Christmas cupcake cases make it all that bit more special and appealing. A pop corn machine is a fantastic Christmas present I might add! 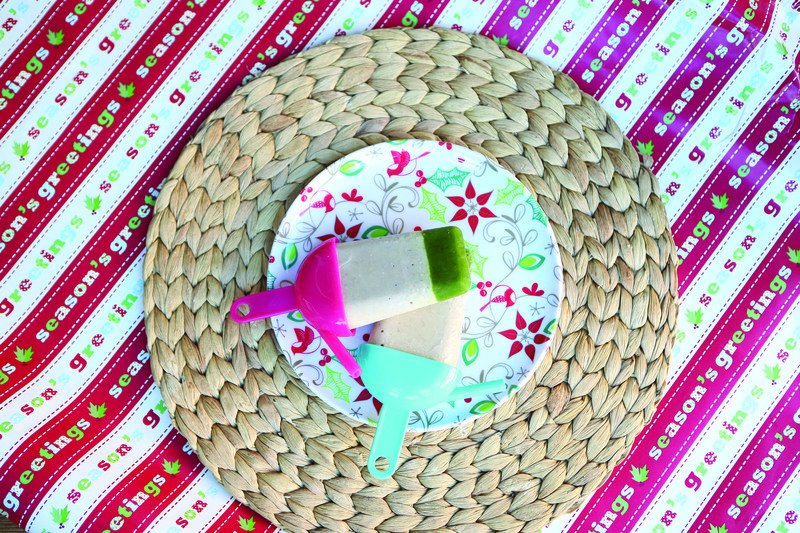 We have hot summers here in Australia and my children are loving having icy poles for breakfast – yes breakfast! Blend some oats, ripe banana, milk and freeze. Sometimes I blend some almonds and chia as well for a protein kick. Also great for our hot afternoons when everyone is getting a bit tired. I often make a batch of chocolate protein balls and keep them in the freezer. Such a tasty pick me up in the afternoon and the children love them – as do I! Everyone is busy at this time of year – so take some time for yourselves and your children to relax. Your bodies and your health will thank you! Another important part of enjoying the festive season is to not deprive yourself. If you really enjoy Christmas stuffing then have some – just don’t eat all of it. Same with desserts – have some and don’t go back for seconds. Weight loss is probably not going to occur at this time of year, so instead aim for weight maintenance until Christmas is over. It is all about being realistic! 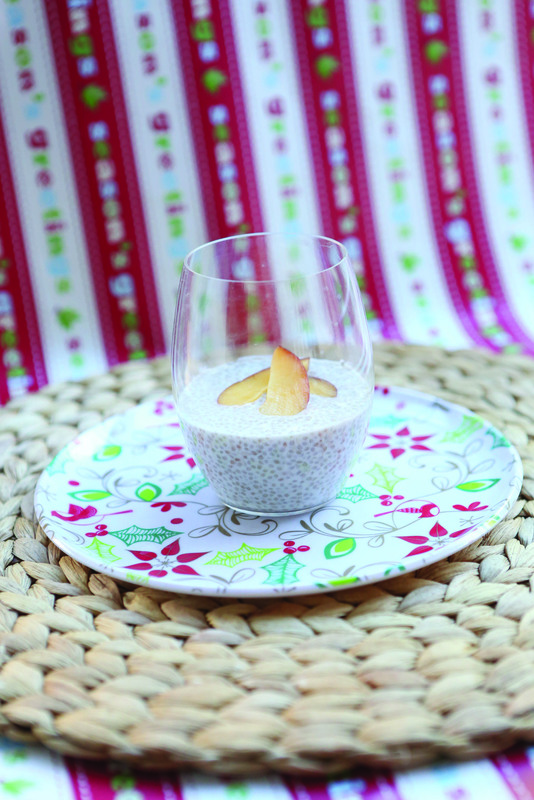 Place chia seeds, maple syrup and coconut cream in a bowl and stir well. Cover and place in fridge overnight to thicken. Top with fruit. Banana layer – ½ cup oats blended until fine, 1 banana, ½ cup milk – all blended with a handful of ice. Put green layer into each icy pole mold. Place in freezer for 30 minutes. Add banana layer on top and return to freezer until solid. Kate Bullen is an Accredited Practising Dietitian and Mum to a seven year old, four year old and 18 month old. More information can be found at www.dietitianonline.com.au.